Five weeks ago, on February 14th, I celebrated a very special day. I dressed in red, ate chocolate covered strawberries, and ended the night with a glass or two of red wine at the bar with three close friends. Each of us were there for the same reason, to pay tribute to a mystical idea which deserves yearly recognition. This event was Bigfoot’s Birthday. Now some may have celebrated Valentine’s Day, a lesser known holiday having something to do with a saint, construction paper, and half eaten heart-shaped boxes of stale chocolates. For the majority of us though, Bigfoot’s birthday was just another reminder of how a wonderfully hairy individual has continued to elude the majority of us for one more year. 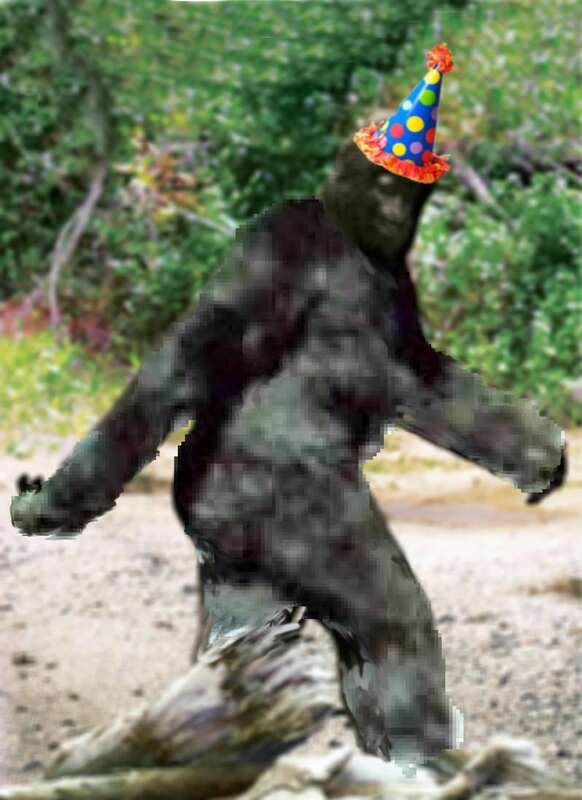 And while Bigfoot Birthday cards have not hit Hallmark shelves, be on the lookout for some incredible party ideas. The idea for Bigfoot’s Birthday started while eating dinner on February 13th. Many people are sick of the love conversation. They are angered that one day a year they must be reminded on how alone they are, how the whole world is sharing cupcakes and holding hands as starry-eyed lovers. I paused the conversation to disagree. And Bigfoot’s Birthday was born. Granted, Valentine’s Day was a couple of weeks ago and many of you may be disappointed that you did not know about this holiday alternative. Never fear! 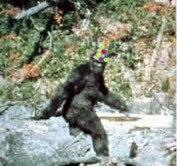 Another benefit about Bigfoot’s Birthday is the speculation as the actual day. To my knowledge, no exact date has been determined which means every day is cause for celebration. So put on a hairy brown suit, turn on Animal Planet’s Finding Bigfoot, and clink glasses in honor of the camera-shy natural beauty.